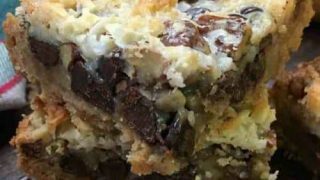 I absolutely love Hello Dolly Bars, also known as magic bars, or seven layer bars. 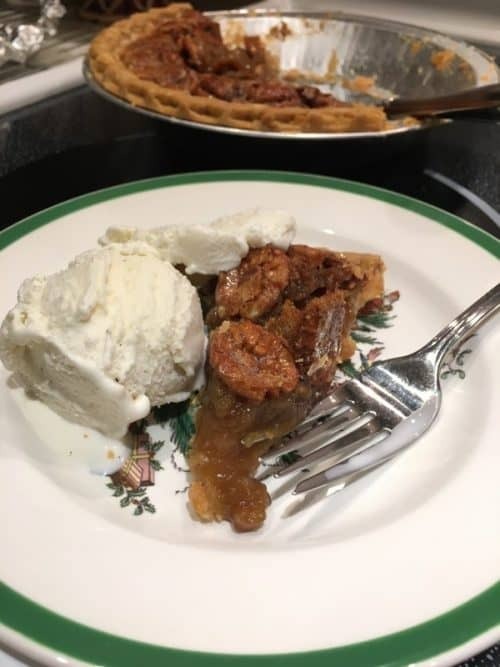 I could honestly just sit and lick the inside of the sweetened condensed milk can, but the added chocolate, pecans, graham crackers, and coconut…Hello! Must be why they call them Hello Dolly Bars! 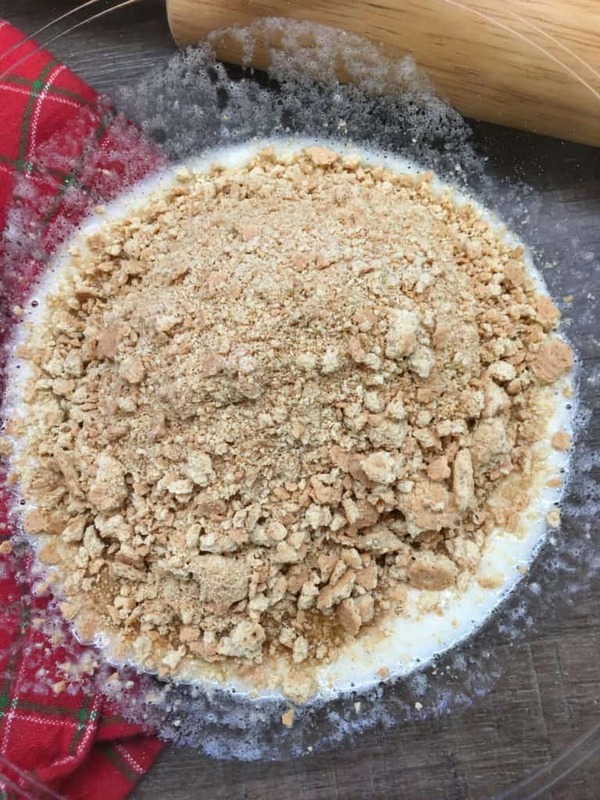 Crush the graham crackers and mix with butter. 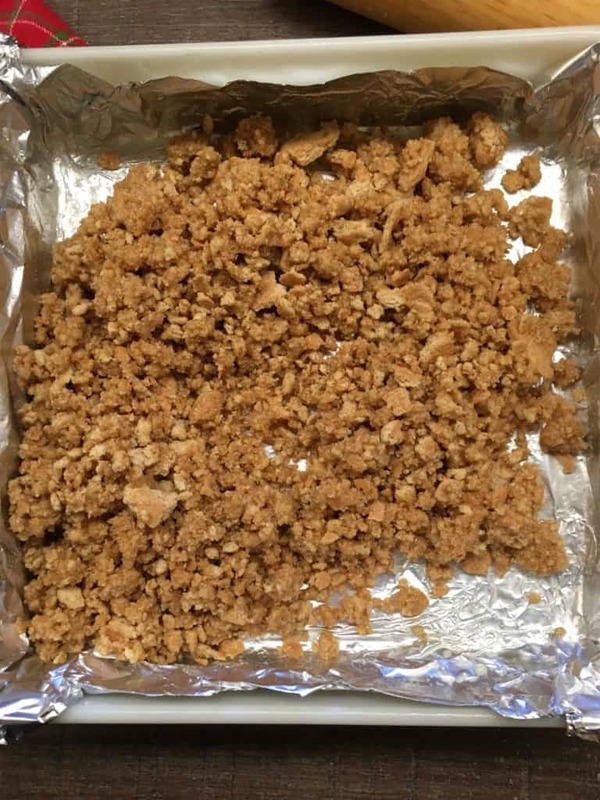 Press into the greased baking dish. 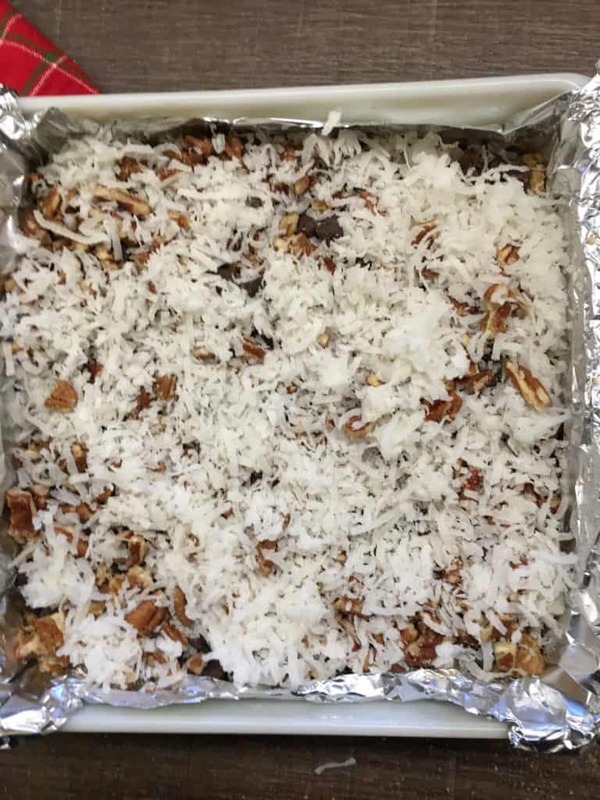 Sprinkle chocolate chips, pecans, and coconut on top. 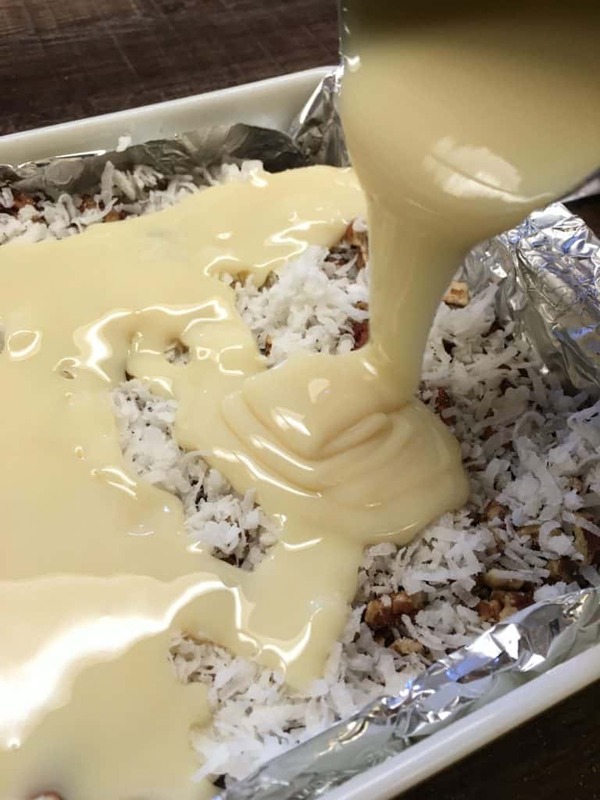 Pour the sweetened condensed milk over the top and bake for 25-30 minutes or until the edges are golden brown. Cool and serve. 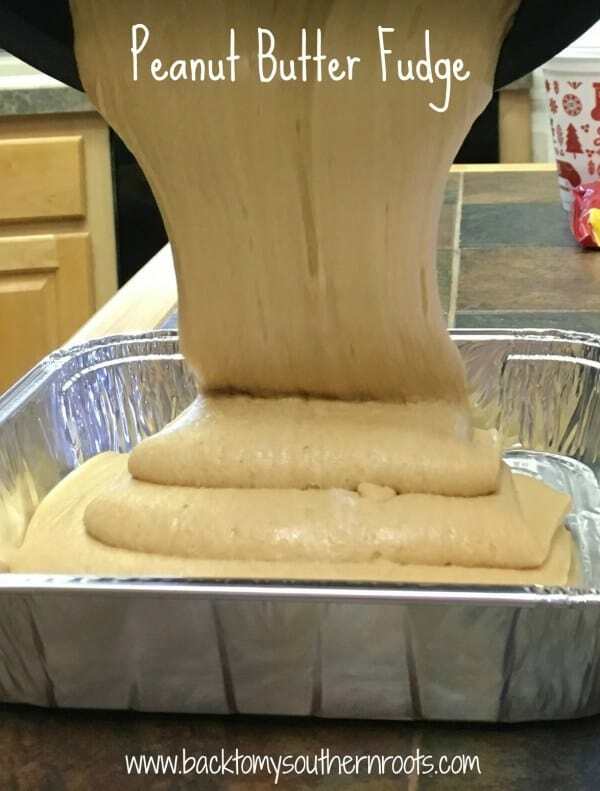 The bars are so easy to make and are great for holiday and Christmas parties, gifts for teachers and friends, or to just sit around and eat them at home. I prefer the latter (wink…wink). I have not always been a big coconut fan, but I like it these days. After you cook it, it’s toasted and oh so delicious. 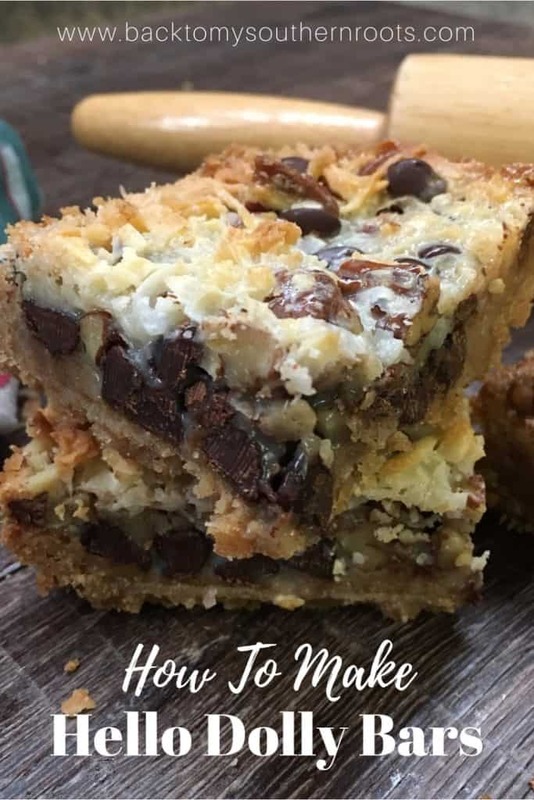 (On a side note, you can make Hello Dolly Bars without coconut – for those of you that either don’t like it or have an allergy to coconut). I haven’t always known about Hello Dolly Bars. My friend brought some over a few years ago and shared with us. 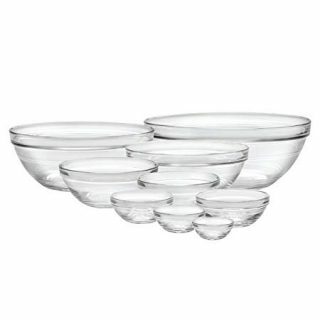 I couldn’t figure out how on earth I’d gotten through life without eating them? She (and this dessert with sweetened condensed milk) became my new best friend. 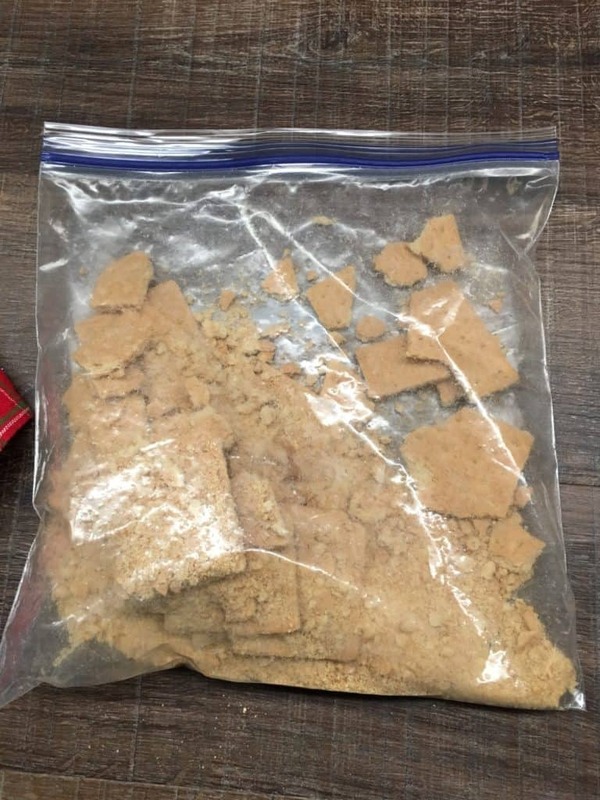 First, crush up a packet of graham crackers until they are fine. It won’t hurt anything if there are a few chunks in there. One of the sleeves, from a graham cracker box, is usually enough to make 2 cups for the curst. Add the graham crackers to the melted butter and stir it in. I put some tin foil in the pan and spray it with a non-stick spray. 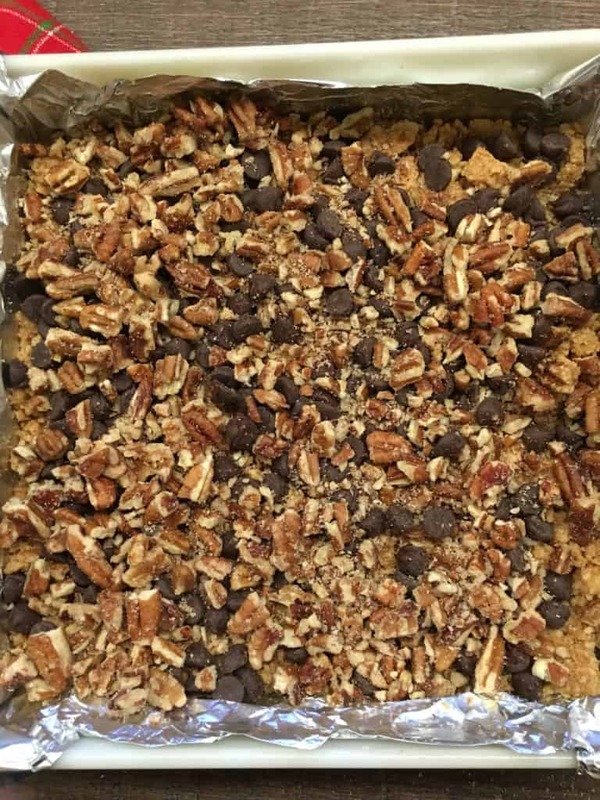 It makes it easier to take the Hello Dolly Bars out of the pan when they cool, and it makes for an easy clean up. 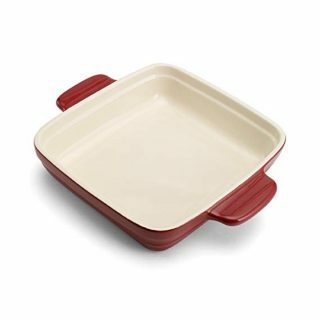 Press the graham cracker and butter mixture into the bottom of the 9″ x 9″ casserole dish. Sprinkle the chocolate chips around the top. Sprinkle the pecans on top of the chocolate chips. 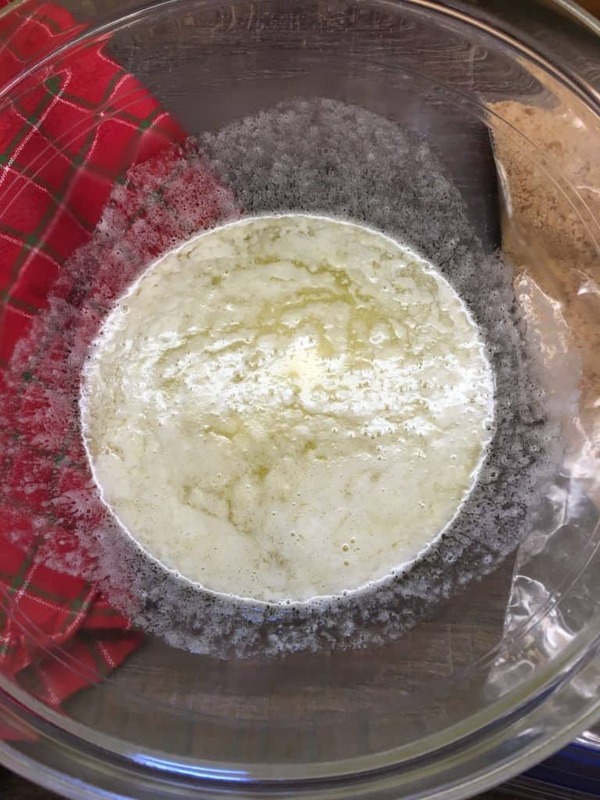 Add the coconut on top. And now comes the best part. 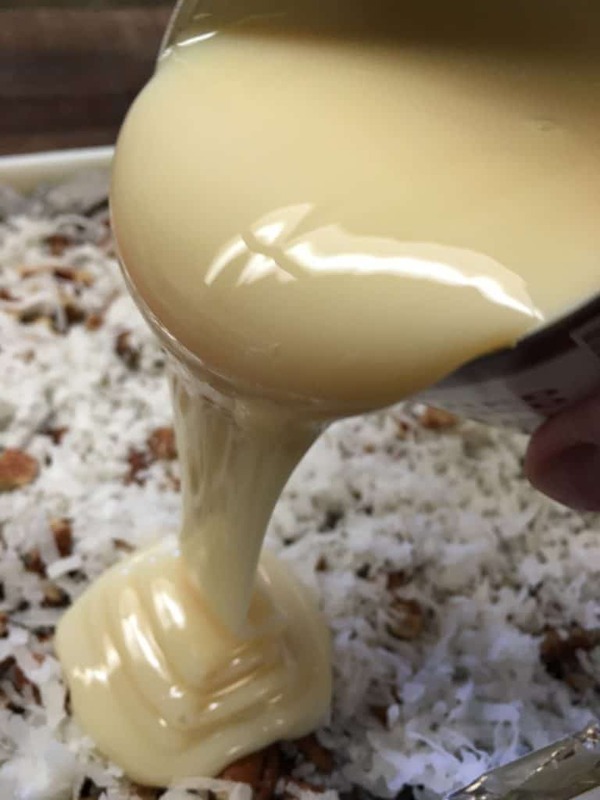 Pour the entire can of sweetened condensed milk over the top. We will literally fight over licking the can in this house. It is so good. Bake it at 325-degrees for about 25-30 minutes, or until the coconut turns a golden brown around the edges. If you try to get the coconut golden in the center, it will end up burning the edges. It’s ok if it doesn’t get golden in the center. 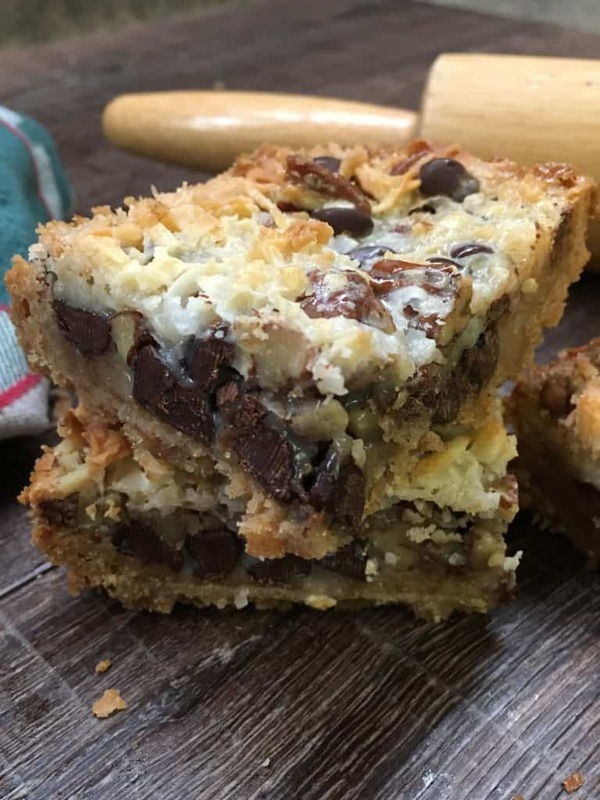 These are the original Hello Dolly Bars! 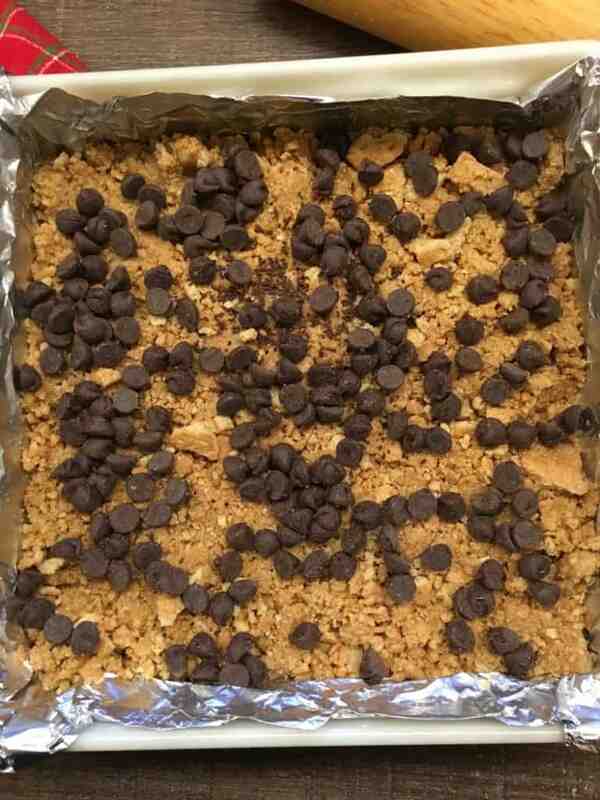 Looking for the video it’s quite easy to make these delicious bars. Anyway thumbs up for making videos on your blog. It’s rare to see on other blogs any videos.